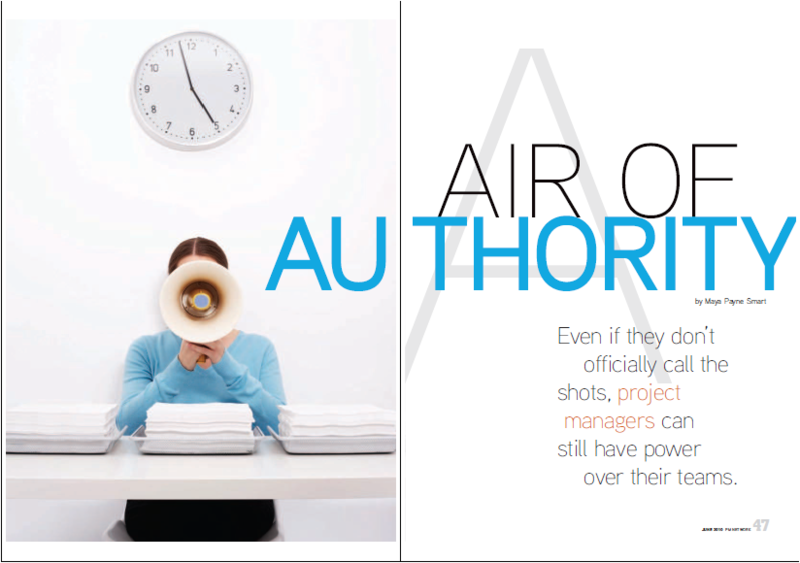 “Even if they don’t call the shots, project managers can still have power over their teams.” – This is the subtitle of a new article in the magazine “PM Network”, June 2010 issue. The article explains why project managers ought to try to forge relationships with team members and uncover their motivations. It also outlines that rewards, recognition and appreciation are often overlooked tools for building credibility. It is a very good article about a well known challenge in project mangement, namely, having to lead without authority. Ok, if there is one thing I don’t particularly like it is actually the subtitle of the article. It is not about having power over your team. It is about team leadership. In order to achieve this you have to understand and appreciate the dynamics of the team and acknowledge the motivations of each individual and become part of the team. I am proud to say that I contributed to this article. My input is highlighted in the text. Click this link to read the article. Feedback is highly welcome!